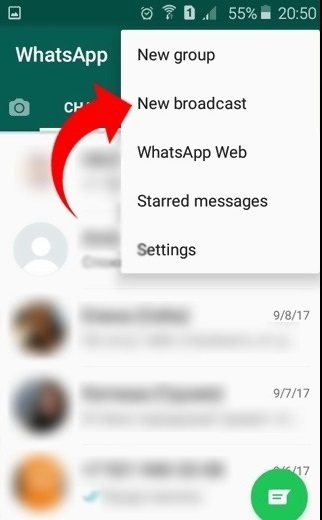 How to Send a group message in Whatsapp without making a group chat? 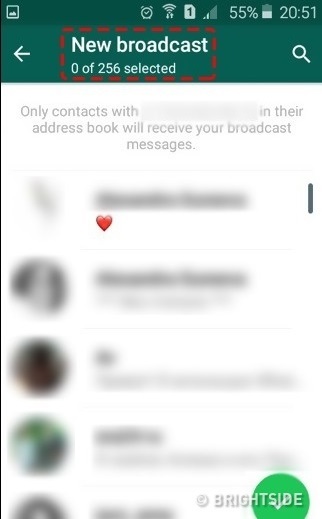 Sometimes you don't want to create a group on Whatsapp and want to send a group message.You can do it easily. 3.Go to Menu on the corner. 4.Then tap on the New broadcast. 5.New broadcast. Press "+" or enter the names of receivers. 6.The message will be delivered to every receiver you have chosen. 7.Plus, all the necessary contacts will get the message in the usual way. Their answers will be seen only by you and not the other contacts on the list. What is meant by Contractual Rent? What is Taskbar and its Properties? How to add Plug-ins in HTML? How to write in NewsAndStory for beginners? What are HTML attributes and how to use them?